In conversation about resourcing and fortifying movements! Fortification: Spiritual Sustenance for Movement is a Podcast featuring Caitlin Breedlove, Campaign Director of Standing on the Side of Love interviewing movement leaders and activists. This week, TJFP’s director Gabriel Foster talks about what brought him to political organizing, the founding of the Trans Justice Funding Project (TJFP), and what keeps him in this work. Thank you for sharing this story! Comments Off on In conversation about resourcing and fortifying movements! 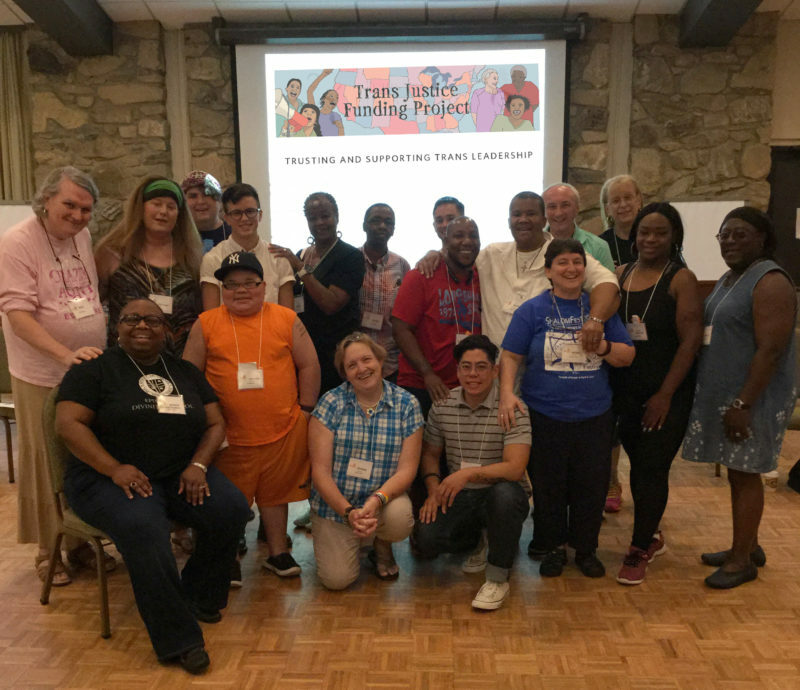 A very special thank you to Bishop Tonyia Rawls and The Freedom Center for Social Justice (FCSJ) for inviting TJFP to the Transgender Faith and Action Network’s (TFAAN) annual retreat. What an honor it was to be welcomed into this space and to have the opportunity to speak with Southern trans and gender non-conforming faith leaders and allies about TJFP’s funding model and what trans justice looks like across the country! Comments Off on Funding The Revolution!